IN the last week of December, three of our little Butterflies made the long trip to Shanghai, to see our wonderful Baobei friends. We are experts at this trip now – but it still takes a lot of organization to get bags packed, tickets booked, accommodation arranged, not to mention the necessary snacks, drinks and baby paraphernalia needed for three little people on the road. Many thanks to our ayis and office staff who get it right every time. Jonah got a free pass this time. His recent CT scan was so good that he was able to stay home. He will be travelling in three months time for his checkup. But Noah, Charles and new baby Jayden all boarded the train together for this trip. 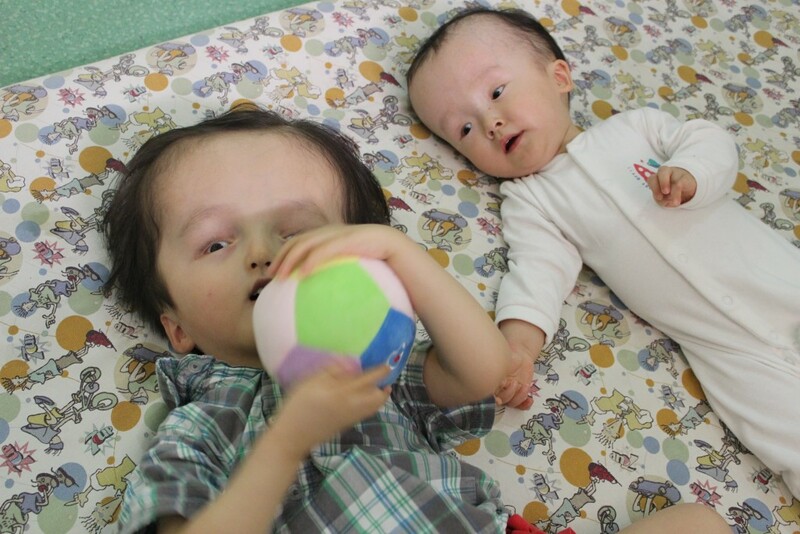 Noah and Charles had their shunts checked and the pressures adjusted. They will have follow up CT scans in a few months to make sure the adjustments are working well for them. 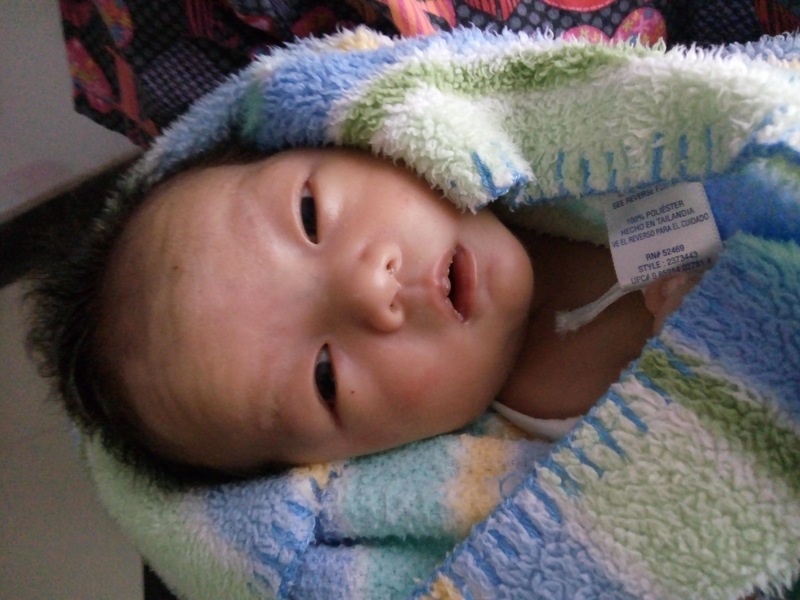 Baby Jayden arrived at Butterfly Home in September with a very complicated heart defect. His heart is on the right side of his body, instead of the left, and the big blood vessels which connect into his heart are abnormally positioned. 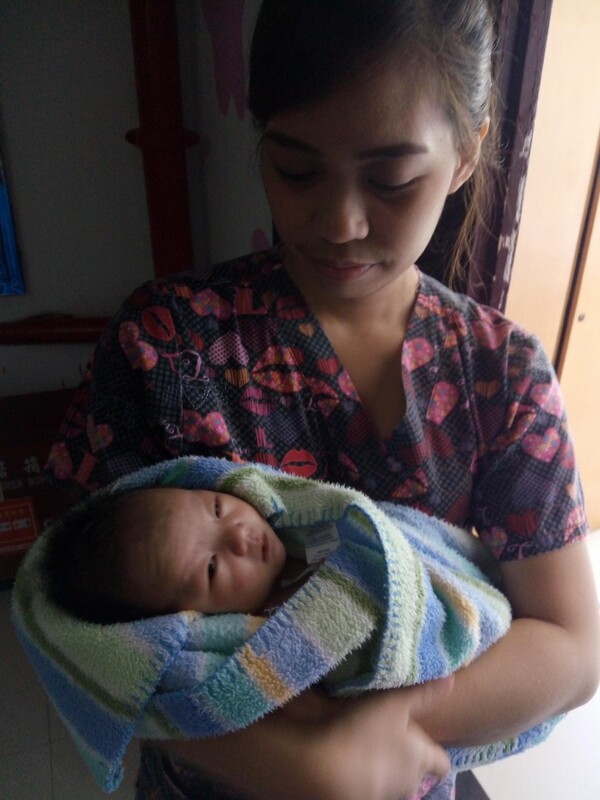 Jayden was in respiratory distress and needed continuous oxygenation. He was also suffering an infection and had several other problems. At that time, it was uncertain whether he would ever become strong enough for surgery, or whether there was even a procedure which could help him. Now he’s stabilized, and tolerates periods each day without his oxygen supplementation. And in Shanghai, we received extra good news. 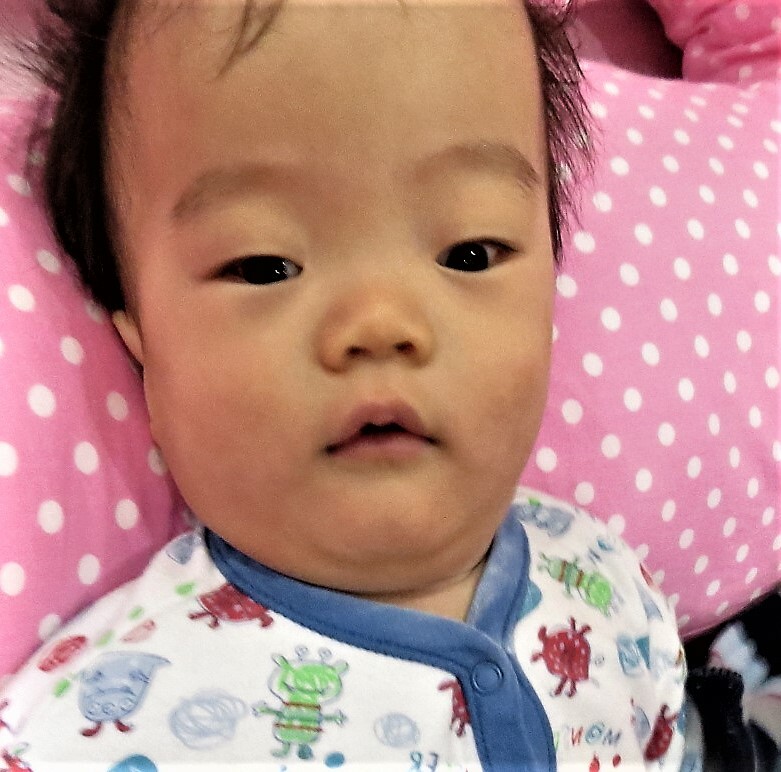 Jayden will be having surgery – and quite soon! We will be bringing him back after Chinese New Year, when he has grown just a little more. We’re so excited and grateful. Hope is such a wonderful gift. This year, it was the best Christmas present we could have received!